UPDATE: Fans of the couple are getting their first look at the wedding day looks. While Ne-Yo opted for a classic suit and bow-tie, Crystal Renay went for a beautiful white gown that showed off her beautiful baby bump. Congrats you two! Ne-Yo is officially off the market! E! News can confirm the 36-year-old R&B singer married Crystal Renay, who is more than eight months pregnant with their first child together and his third overall, on Saturday evening at a venue near Los Angeles. "We can't wait to start our life together," Ne-Yo told People who first broke the news. "We're looking forward to just being each others' best friend." Regarding his wedding, Ne-Yo had jokingly told E! News last November that "I am basically just going to show up in a tux and stand there and say my 'I do's." He also said Renay has "been extremely hands on with the preparation of the wedding" and joked that he did not plan on getting in her way. Ne-Yo, who was born Shaffer Chimere Smith, shares a son and daughter with former fiancée Monyetta Shaw. He and Renay announced their engagement and her pregnancy last August. They are expecting a baby boy. Earlier this month, Renay posted a sweet photo of Ne-Yo hugging her bare baby bump. "Now I understand why Nothing else ever worked in my favor. You are the man I've dreamed of and you have given me the family My heart has longed for. The amount of love I have for you and our son is insurmountable and I am going to spend the rest of my life showing you that love... @Neyo #j3collection #16days," she wrote. He goes ham when he hears his daddy's music ESPECIALLY this song ?? She also tweeted about getting fitted for her wedding dress. "When your gown designer says you've only grown 3 inches and you're 8 months pregnant," she wrote. 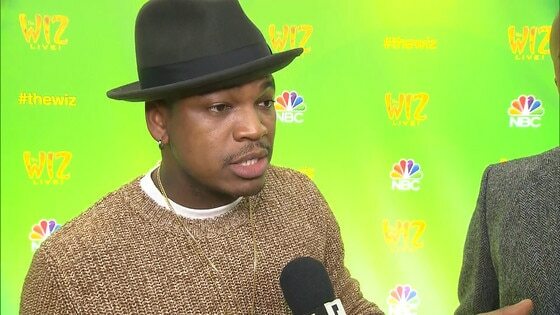 Ne-Yo Reveals Why His Daughter Won't Watch "The Wiz"